The key to success is taking quizzes regularly. A minimum of three quizzes a week is recommended. Ideal is a daily session. 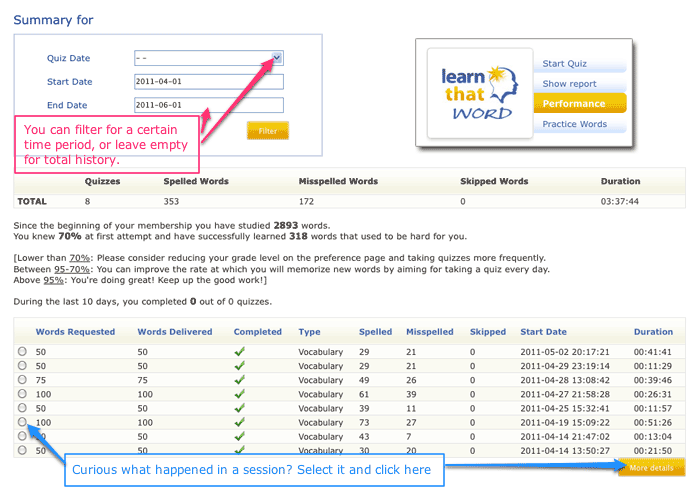 Use the performance page to see how regularly quizzes were taken. Pay attention to the second line - "You knew 70% at first attempt." Consider lowering your grade level if this number is below 70% or move to a more challenging level if it's above 90%. This is how the detail page looks for a quiz. 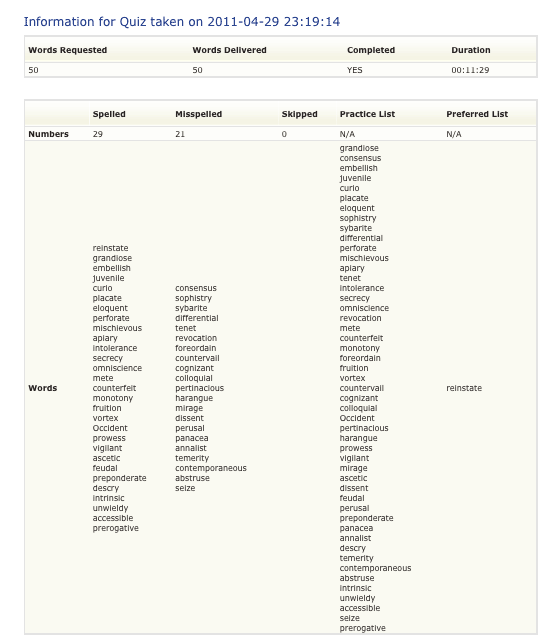 It lists all the words studied and shows which are problematic. LearnThatWord manages the follow up so you don't really have to concern yourself with these details. Try to use words from your practice list in everyday life. It's a great supportive learning strategy! Otherwise, rest assured that LearnThatWord will review them until you get it right, every time. and that you successfully completed in the practice cycle. If you use Pay-Per-Result for premium features, it also accounts for your token usage.